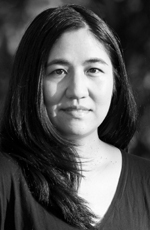 Janine Oshiro graduated from Whitworth University, Portland State University, and the University of Iowa Writers’ Workshop. She is a Kundiman fellow and has been awarded the 2011 Elliot Cades Award for Literature in Hawaiʻi and the 2013 Asian American Literary Award for Poetry. She lives in Hawaiʻi and works as a massage therapist.